If you’ve been paying attention to any content the people at HubSpot have written or shared in the past 18 months, you’ve probably noticed their shift toward “pillar pages” as a preferred form of content. 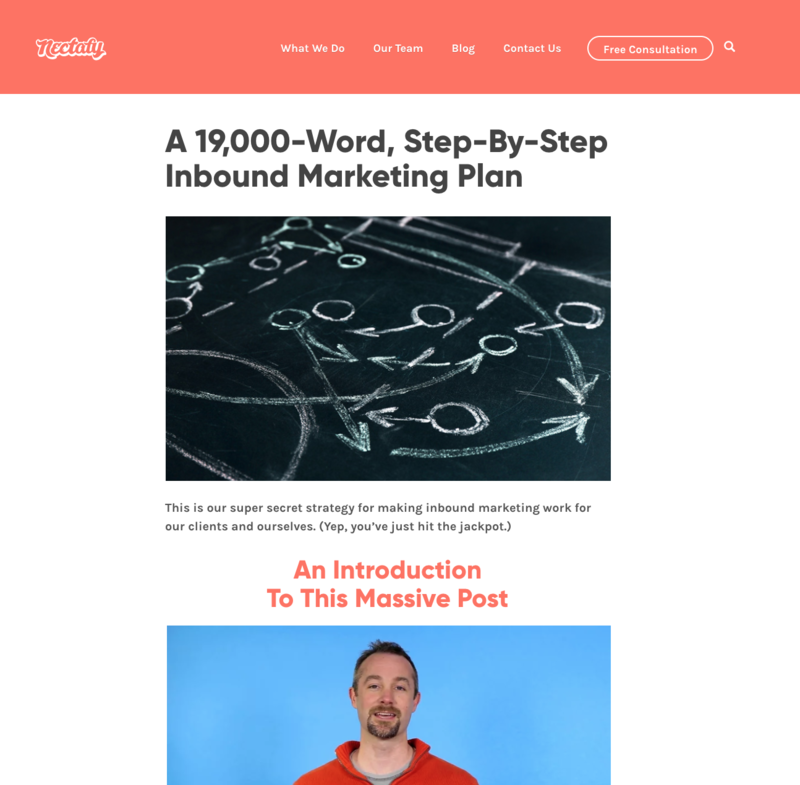 In fact, HubSpot recently removed the keyword tracking tool, instead promoting the content strategy tool as a replacement—now pushing people toward writing pillar pages and then supporting articles instead of “regular blog posts.” If you’ve read the posts, you’re probably convinced that they are the way to go, and you may already be planning your first post. One thing noticeably absent in the commentary about pillar pages is how long it takes these huge posts to gain traction. 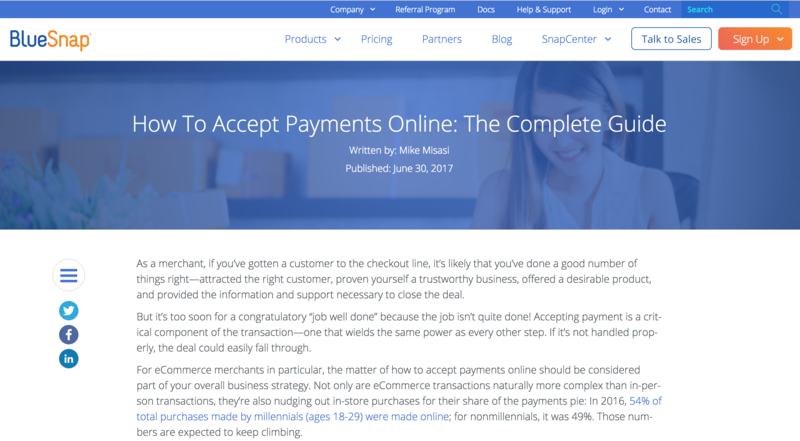 With that in mind, here are our takeaways from actual pillar pages (which we call reservoir posts) that we’ve done for our clients and for our own company; take a look and see what you might be able to expect if you want to create similar long-form content. Pillar pages allow you to target bigger keywords in your industry that you wouldn't have a shot with otherwise. If you do rank, you'll likely scoop up a number of keywords (not 1-5 like a normal blog post). This post took nine months to get its first meaningful ranking, but all signs point toward more rankings to come (including our top keyword target, which is one spot away from page one). Even with all that, it's going to be a full year before we can call this page a success. We believe it's worth it because it's a long-term strategy—not a short-term fix. 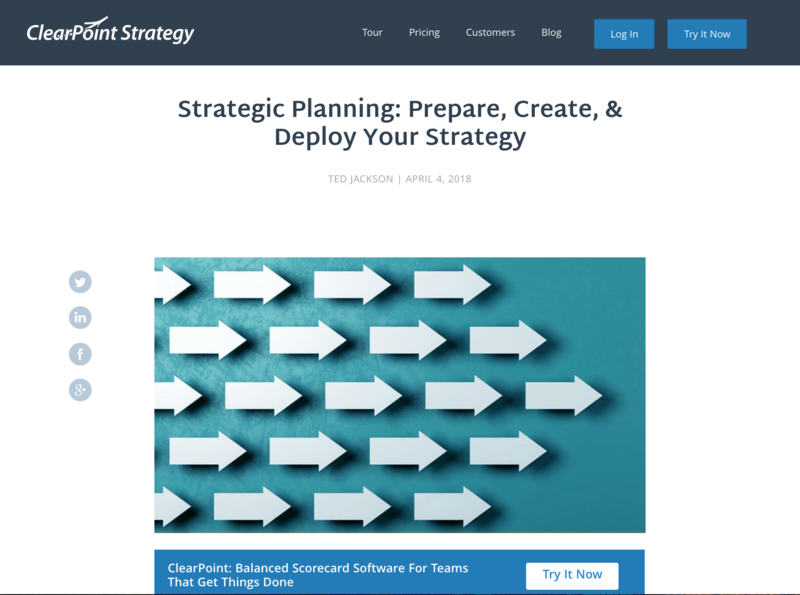 Here’s the profile of this long-form content for ClearPoint, Strategic Planning: Prepare, Create, & Deploy Your Strategy. 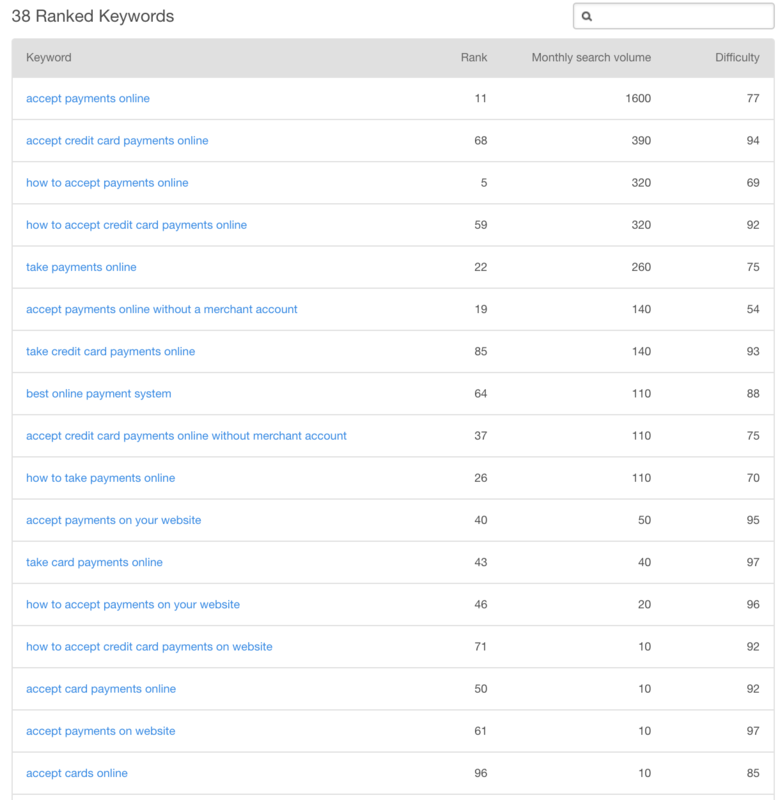 The first month our top keyword target started ranking: April 2018. Takeaway: With this client, we tried targeting this phrase for two years using other regular and long-form articles, and we couldn’t get any traction. We concentrated our efforts into this long form content, and in April 2018, this reservoir post popped. We got to page one for our top-ranking keyword. This pillar page example is the only tool that has worked to rank for this huge keyword, but again, it is a long process: After posting, we had to wait almost a year to see results. To us, it’s worth it, but you need to be patient to see similar results. 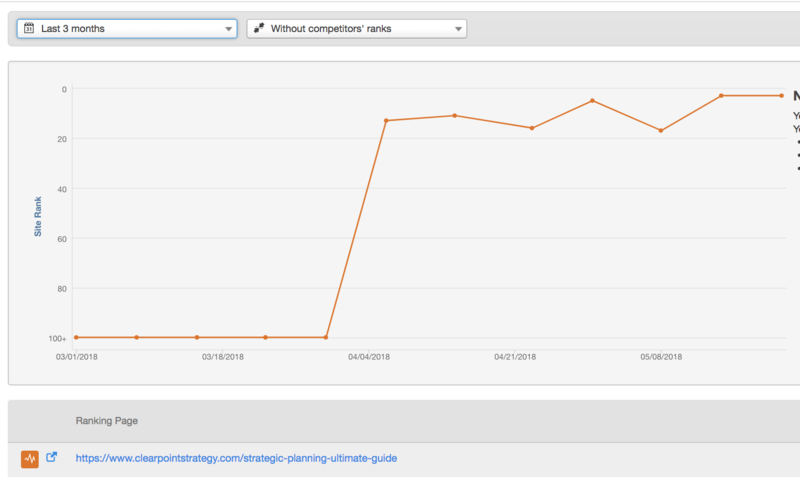 The first month—March 2016—our top keyword target, “inbound marketing plan,” started ranking. One note here: The phrase looked like it was searched a few thousand times per month, but it was probably only a few hundred. We never got more than 500 visits per month to this post, even though we were the only company ranking in the top three of Google that wasn't HubSpot. So it wasn’t directly a huge money-maker. Despite that, this post has paid bigger dividends with our sitewide authority on the topic. Takeaway: This was our first “pillar page”—we did it before HubSpot started calling it that and suggesting it as a strategy—and when we wrote it, we didn't know it would take so long to rank. We debated breaking it into several articles multiple times, but ultimately chose not to. It’s a good thing we didn’t! The ranking finally took hold about 10 months after we posted it, and it has been consistent since that time. You can find out more info on this article here. Is long-form content worth the effort? HubSpot says yes, they just don't tell you it’s distinctly a long-term content strategy. We say yes as well—but you must be patient. Pillar posts, reservoirs, long-form content—whatever the name—take a long time to rank. You will see results eventually, and a lot of long-term benefits, like the fact that it generally performs consistently and retains its rankings for a longer period of time. You don’t have the resources to execute pillar page-level content. We’ve found it to be similar in effort level to writing five blog posts, but combining them into one (that means strategy, interviews, research writing, editing, design, and light web development skills). You’re looking for long-term content growth strategies—six months to two years down the road. Be prepared for your pillar page to take at least six months to gain momentum. One caveat: We're talking about normal, medium-authority websites that are going after highly searched keywords in their industry. 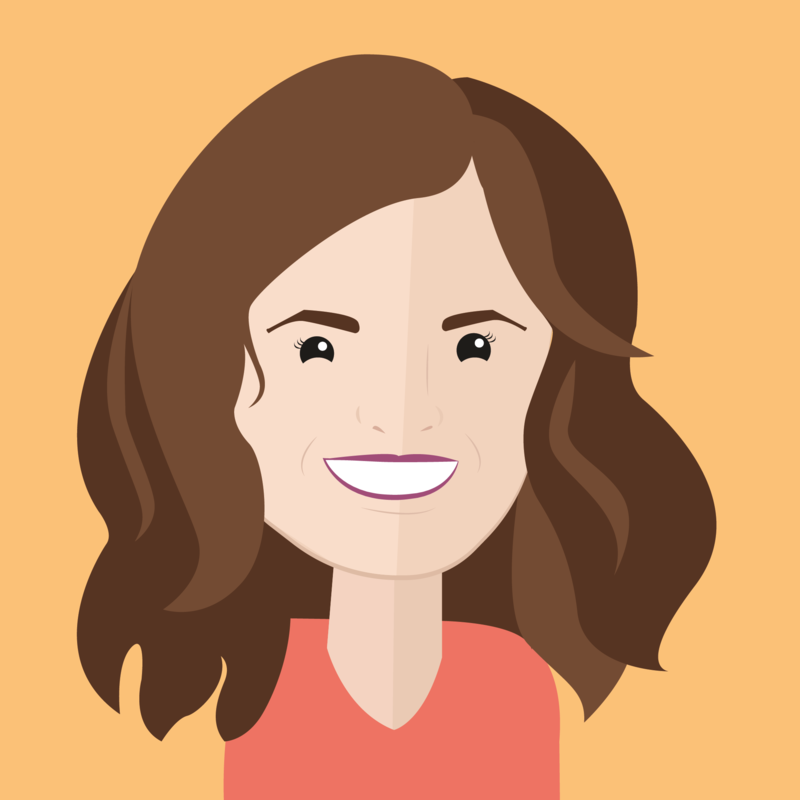 If you’re Hubspot, you'll probably rank right away. Long-form content like this is probably your best content tool to compete with the big players in your industry. If your company and Microsoft, for example, both write 800-word articles, they will smoke you in rankings. If Microsoft writes an 800-word article and you write a 3,000-word, helpful article, you have a shot. That’s because Google factors "time on site" into search rankings. If you write a long post that people find useful, they'll stay longer on average—therefore, Google will rank you higher. There’s no guarantee your long-form content will work. This type of content takes (at least) five times the effort of a normal blog post. When you commit to producing this content you’re putting five eggs in one basket, so to speak—instead of swinging and missing on a single blog post (and all the work that goes into one), with a pillar page, you magnify that risk by the amount of work you put into it. 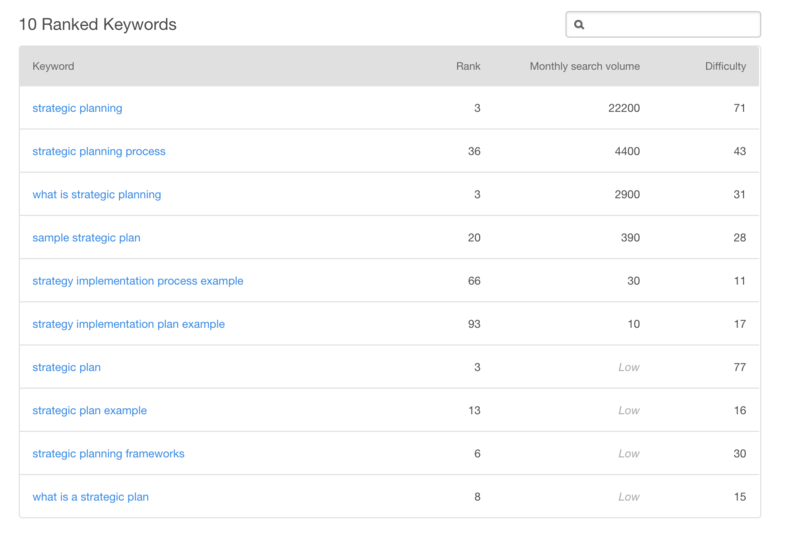 Choose "exact match" (in Keyword Planner, KeywordTool.io, or other keyword research tools with that option). Use a more detailed SEO tool like SEMRush, which tries to pull out each phrase individually. Be realistic about where you land on page 1. Even if you do a spectacular job, you’ll never outrank some sites, like Wikipedia, for example, or the site where the term originated from—like Hubspot and "inbound marketing" or Microsoft and "Azure"). Google the main keywords before you plan your pillar page. If you could get only to spot four or five on Google if everything else goes perfectly, is it still worth it? With that ranking, you could expect maybe between 5-10% of searches to turn into visits for you. If you’re nervous about spending so many resources on creating long-form content, try this instead: Write five separate, regular-form posts about topics you want to go after (five 800-word posts instead of one 4,000-word pillar page post). These posts show rankings much quicker than a pillar page post, so you would know in a few weeks where you’re heading in terms of ranking. If any of those posts show signs of working (for example, one ranks on page eight in two weeks, another on page four, and other three don’t), then you can take the article that’s currently ranking on page four and turn that into a pillar page by adding to it. This is messy science—you’ll have see what works and give yourself several chances to see if it turns into something that could potentially grow as a pillar page. If reading this has brought up some questions about your content growth strategy, we’d love to help out. Just click below to schedule a call with Lance!